My in-laws had a wedding last summer that was absolutely beautiful, and it didn’t break the bank. It didn’t happen by accident, though, as it took some planning on their part. Everyone there had a great time and I think they did a fantastic job organizing it. 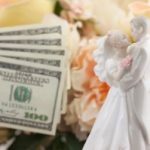 Now that the peak wedding season is coming up, I thought it would be great to discuss more ways to save money on weddings. One factor to start off with is deciding where the money for the wedding will be coming from. Some couples pay the entire bill themselves, while others rely on family to help them out. Our parents were involved with financing our wedding, though we had some money set aside, as well. That was also the case with my sister and brother-in-law. Where the money comes from will have some effect on your wedding plans. While you don’t want others to take over the planning, it would be nice for you to accommodate some of their requests if they’re helping to foot the bill. For example, they may want a vegetarian option and are willing to help with the reception costs. Prioritizing is a huge deal when designing your wedding day. If you’re planning out a debt free budget for it, you need to decide what parts of your wedding are especially meaningful. Do you want to have an intimate affair, or are you looking for a huge celebration in a relaxed setting? It’s quite easy to get carried away by the emotional aspect of the ceremony and celebration and ignore the long-term effects of this one day on your future. Be careful not to start your marriage off on the wrong foot. Since only a portion of the money is due up front, have a plan for your savings. 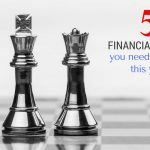 Until you have to start paying the vendors, you’ll probably want to maximize your money by stashing your money in a high interest savings account. Getting married during the height of wedding season can raise your costs significantly, as you’re competing with other couples for the same venues. Having an off-season wedding can save you a lot of money without you sacrificing other items on your own budget. You should also consider what day you want to get married. Moving your wedding from a Saturday to a Friday, for example, can decrease your costs quite a bit for the same wedding reception. Generally speaking, the bigger your guest list, the more expensive it will be. If you do want to have a lot of people at your wedding considering doing it off-season. We got married in December and got a great deal for our reception and our out-of-town guests got a fantastic rate. Where you host your wedding reception is a big factor too, as popular venues tend to cost more. If you want to minimize travel and save some money, you might consider having the ceremony and reception at the same location. I would also ask around to see if any friends or family have inside reviews on the place. Do they have a reputation of providing wonderful service at a fair price? You should also ask questions with the location coordinator besides just the price. What is the room’s capacity? How early can the bridal party arrive? Are there any concurrent events? If so, how many? When is final menu picked? What are their payment options and schedule? Do they offer tasting events before we book? This is your day, and you’re going to spend some hard earned money, so don’t be afraid to ask specific questions. You don’t want to be surprised when you get your bill. There are plenty of vendors that want to do have your business and you should take advantage of the situation. 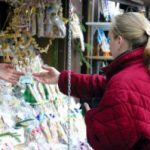 Pick your top 2-3 vendors and be ready to negotiate. By keeping price sheets and records of deals made with others, we received a 3rd dinner option and 3rd appetizer at a lower price as another vendor! The specific flowers and time of year that you choose will have a big effect on price. Keep it simple and just choose one or two flowers to highlight in your bouquet. You may also want to incorporate more greenery into your flower arrangements. If you like having a big wedding, but your food budget is limited, have a buffet style wedding. Many guests will be too busy enjoying your special day to really care about whether the dinner is plated or buffet style. You can also have an appetizer-style reception that would work well with early afternoon weddings. Reduce your wedding cake costs without losing your dream cake. For example, you could have a smaller, two-tiered cake with some additional sheet cake ready to be served to guests. You’ll still have the wedding cake pictures, and most guest won’t notice or care. Besides, they’ll probably be full from all the food they’ve just eaten! 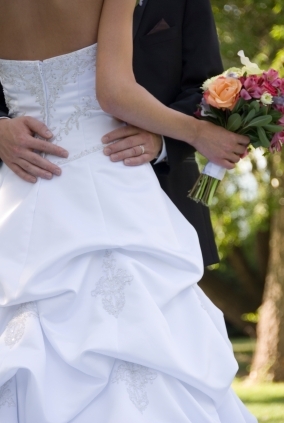 Planning and budgeting your wedding is also great way to start working together on your finances. It’s a learning experience, so don’t feel discouraged if you have arguments over some decisions. It’s how you handle them together that’s the bigger issue. You should also learn to how to communicate with each other what your goals are for the wedding . Be prepared to stand united if anyone tries to ruin your day by butting in. Tensions may run high occasionally, but this is only one day. Hopefully, you’ll look back on your wedding many decades down the road with fond memories. If you haven’t done so already, you should also take time to prepare and decide how you’re going to handle your day-to-day finances as a couple. For example, are you going to have joint or separate accounts? Be open with your current finances and decide to start off on the right foot for your marriage. Okay, I’ve shared my tips… Now it’s your turn! What was the hardest part of planning your big day? How did you pay for it? Do you have any tricks for saving money? What was one of your favorite memories from that day? Thanks for sharing your tips guys on weddings. Every wedding is unique and how people design and where they spend money is a reflection of them. The local craft stores usually have 50% of coupons in the Sunday paper.. A lot of times Michael’s will give you a 50% coupon on your receipt.. I would send my husband (fiance at the time) through line to get extra coupons.. and would go to the store several times in one week to get more coupons.. The number of guests dictate to a very great extent how expensive the wedding is going to be. Many wedding expenses have the number of guests factored in. Therefore, it is crucial for anyone planning a wedding to decide at the earliest possible time the number of guests that shall be invited. Coz it is from this figure that you shall be working out a budget. Bgirl has a great point when mentioning that if you tell the vendors that it is a party than a wedding, you probably can save a little. This article is great. In terms of smaller things like stationery, people can spend tons of money. I know some people that bought some nice looking stationery at target and then had the invitations printed at a print shop. It saved them a ton of money. Flowers that are in season will also save money. I haven’t gotten married myself yet, but I used to be a professional event planner and helped several friends plan their weddings. The first thing I always tell people is to figure out what is the most important to them and spend the money on that. There are ways to do the other things nicely without spending a lot of money. One friend wanted something simple in their backyard. Since the yard was in bloom, we did very basic centerpieces for the table. All the caterers they looked at were more than they wanted to spend, so I suggested talking to favorite restaurants. They ended up going with a local Thai place that did a wonderful job, and since their first date had been going for Thai food it added a nice touch to the day. They bought wine and beer at Trader Joe’s and we served ourselves. It was one of the best weddings I’ve ever been to. If you are doing your wedding at a venue, there are a few questions you can ask. Ask if they will waive the bartender fees if you meet bar minimum. You can also limit the bar to only wine and beer. Or if you do mixed drinks provide only for well and call drinks (which means less expensive liquors). Another option is to see if you can bring your own wine and pay a corkage fee (though if you do, tell them you want to count the corks so bottles don’t disappear). A lot of places will say you can’t on the paperwork, but if you have a special wine you want to use they will sometimes bend the rules. We’re spending a mint on pictures – $5,000. And since we’re family we’re getting a $10,000 package for that price. But in my opinion, that’s what you have after the wedding to remember the day by. The whole day will be such a blur; pictures are the best way to make sure you remember (or learn about) the little details of the day. Everyone I’ve spoken to that’s been married but cheaped out on the pictures regretted it later. And the food, guests remember the food – don’t cheap out on the food. It can be simple but make sure it tastes really good and is presented well.